Wall ovens are gaining in popularity and often included as part of a kitchen remodeling project. A wall oven is a kind of oven that, instead of being fitted under a stovetop as a freestanding unit, fits within a kitchen wall. There are various reasons to choose a wall oven instead of a freestanding unit. 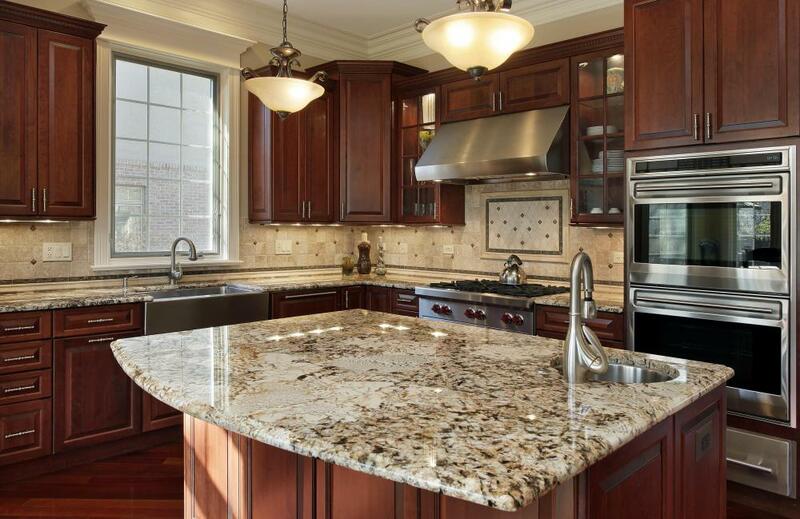 These reasons include space conservation as well as preference in terms of kitchen design. Some people also have multiple wall ovens installed. A domestic kitchen might have two wall ovens. This allows a person to cook two dishes at a single time at different temperatures, which is beneficial for people who bake frequently and also prepare large meals that include multiple courses on a regular basis. In most cases, multiple wall ovens are stacked on top of each other within a wall. There are other instances in which the ovens are installed side by side in the wall. Instead of having an oven under the stovetop, this space is often used for storage of pots, pans, baking trays, and other various oven accessories. Sometimes, wall ovens are a bit smaller than traditional freestanding ovens, but this is not always the case. Smaller ovens have some advantages such as being able to heat up faster, but they cannot hold incredibly large dishes of food. There are some wall oven models that come with both an oven and a microwave oven. These two ovens are of the same width, but the microwave oven is a bit shorter. In most cases, the microwave oven is stacked above the wall oven. Whether a wall oven is a single model, or paired with another oven, or paired with a microwave oven, it is usually bordered by cabinets. In most cases, there are cabinets above and below the ovens. Wall oven models that incorporate two ovens that are stacked one on top of another might only have cabinets above or below instead of having cabinets in both places. Installing a wall oven is usually part of a kitchen remodel. Unlike swapping out a freestanding oven, a wall oven must be properly built into the wall of a kitchen and the wiring must be managed by a professional. If a wall oven is simply being replaced, it might not be necessary to remodel the cabinets surrounding it as long as the new oven is the same size as the old one and as long as the wall can support the weight of the new oven. How Do I Install a Microwave? What are the Different Types of Kitchen Wall Decorations? How do I Compare Ovens? How do I Choose the Best Portable Oven? What is a Cooktop Oven? What does "Hitting the Wall" Mean?